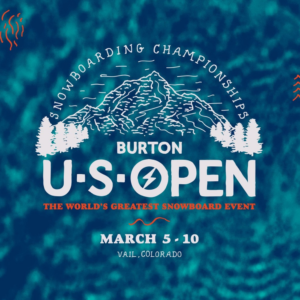 BURLINGTON, VT (February 7, 2018) –The 36th annual Burton U.S. Open Snowboarding Championships announce the massive Burton Concert Series lineup featuring six days of non-stop entertainment in Vail, Colorado. This year’s roster of live bands and DJs includes Damian “Jr. Gong” Marley, BØRNS, Dean Ween & Friends, Monophonics and more! The Burton Concert Series will run from Monday, March 5th through Saturday, March 10th in the heart of Colorado’s Vail Village following each day’s snowboard competition. The Burton Concert Series continues to build on the close tie between snowboarding and music, which the Burton U.S. Open has celebrated throughout its 36 years. This year’s roster includes 19 unique artists including world-class reggae, jam bands, funk, and indie, plus award-winning DJs, and classic American rock. This year’s program also includes a brand new venue—in addition to the all-ages outdoor Solaris Concert Stage, performers will also take the stage at Shakedown Bar. The new venue allows for a greatly expanded lineup with additional après and late night set times. Live music at the Solaris Concert Stage and the closing party at Dobson Ice Arena continue to be FREE and open to the public. Tickets for the Shakedown Bar performances will be available for purchase in advance of the show through Shakedown Bar and at the door. Grammy award winning performerDamian “Jr. Gong” Marleyperforms Saturday night on the Solaris Concert stage. The youngest son of the legend Bob Marley is celebrated for his rousing reggae roots jams and dancehall bangers. Michigan-bred singer songwriterBØRNS, aka Garrett Borns, will take overFriday night on the Solaris Concert Stage with his danceable indie-pop ballads and captivating stage presence. One of the premier soul bands in the country,Monophonics, plays the Solaris Concert Stage on Wednesday. This Bay Area band’s live shows are a one-of-a-kind raucous, soulful experience. Dean Ween & Friends play Shakedown Bar après seton Thursdayfor an intimate acoustic performance. This is a must-see for any Ween fans. The Solaris Concert Stage performances on Wednesday, Friday and Saturday night will follow the exciting Burton U.S. Open Snowboarding Championships Junior Jam, slopestyle and halfpipe finals awards presentations. Come experience FREE nightly shows, plus the new Shakedown Bar Late Night Live Music lineup. For details on all things U.S. Open, follow the hashtag #BurtonUSOpen and head to BurtonUSOpen.com or download the official Burton U.S. Open app on your mobile device now through Google Play and the App Store.